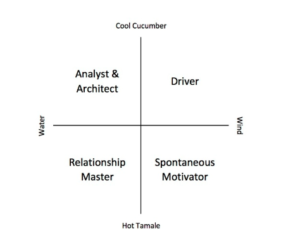 When it comes to dog training and leadership style, are you a hot tamale or a cool cucumber? Thinking about what your leadership style is can help you grow as a dog trainer. No, I don’t mean whether or not you’re “alpha.” I’m actually referring to the leadership styles delineated by the National Outdoors Leadership School (NOLS) in their No-Doze Leadership Styles. I’ve always been deeply involved in leadership development and outdoor adventuring, so the NOLS framework comes as second nature to me. After speaking to a good friend and trainer at Boise Dog Sports, I realized that this isn’t a framework that most other dog trainers have. Leadership sometimes feels like a bit of a tainted word in dog training because of this whole alpha thing. I won’t get too into that here, but you can read about dominance and alpha theory here. Anyway, I think many excellent trainers shy away from talking about leadership in dog training a bit because they don’t want to be misunderstood. Being a leader does not mean being a tyrant. A good team captain doesn’t scream in the face of teammates when they mess up, and a team leader on a weeklong canyoneering trip works to empower the other members of the trip and help them problem-solve on their own. This sort of leadership is absolutely necessary for dog training. Giving your dog guidance, support, a framework for success, and a clear goal will make training all that much easier. NOLS describes four leadership styles: Which are you? Let’s start with just drawing a big plus sign on a piece of paper. On the far left side, write “water.” On the far right side, write “wind.” Write “cool cucumber” at the top, and “hot tamale” on the bottom. Now, your job is to treat each line as a continuum. You’re going to place yourself along it based on where you view yourself. The exact middle is not an option! Personally, I’m very far on the wind side. Great! Now you have your horizontal axis all done. Don’t move that dot. Hot tamale: “I tell people how I feel about everything. I cry at sad movies. My emotions are extremely active – the perfect storm.” Again, these refer to how you feel internally. Personally, I’m solidly within hot tamale territory, but I’m not at the total extreme like I am with the wind/water comparison. Now you have two dots on your plus sign. They’re on either side of a single quadrant, right? Mine would be on either side of the bottom right quadrant. Draw a line straight up or down from your wind/water dot, and another line straight right or left from your cucumber/tamale dot. Image courtesy of the FOP Leadership Handbook. Your leadership style is where those two lines cross. Any time we put something as complex as leadership style into four neat boxes, you know we’re simplifying a bit. But after years of working within the NOLS leadership, I know how helpful this framework can be. Now that you know the name of your NOLS leadership style, we can start investigating how that affects your dog training. Let’s go through each leadership style individually to look at some of the strengths and weaknesses of them as it comes to dog training. Analyst-architects enjoy digging into concepts and meaning. As a trainer, you are great at observing behavior and naturally make decisions based on facts and data. You may be slower about making training decisions because you like to gather information before changing things. Plans might not change much for a long time, then suddenly you come up with a creative training solution that helps immensely after a lot of thinking. You probably enjoy some of the nitty-gritty details of training and might not shy away from the data collection that other trainers dislike. 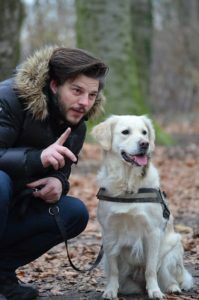 You probably look measured and calm while working with your dog but might get frustrated with lack of clarity in protocols or directions from your instructor. It can also be hard to deal with a bouncy, irrational dog who just can’t seem to comply with your protocols! You’re not a total Vulcan, though. You enjoy the process, but that doesn’t mean you can’t come up with off-the-wall and creative ideas that help crack tough training problems. If you’re lucky, being an analyst-architect also helps you make measured decisions and exact precise training plans. Be careful to ensure that your structure, concepts, and details don’t prevent you from motivating your dog to succeed. You probably enjoy dogs that seem to wait for you and think along with you. You probably don’t mind working through a training plan with a hesitant dog. Drivers can be super goal focused. You are directive, clear, and opinionated. Your dog (and neighbors) probably know exactly what you want, and you’re very goal-oriented. You might struggle to sit down and craft a training plan that helps you achieve your goals. Many drivers take criticism from other trainers and setbacks from their dogs relatively well. Being so focused on your goal has its benefits! 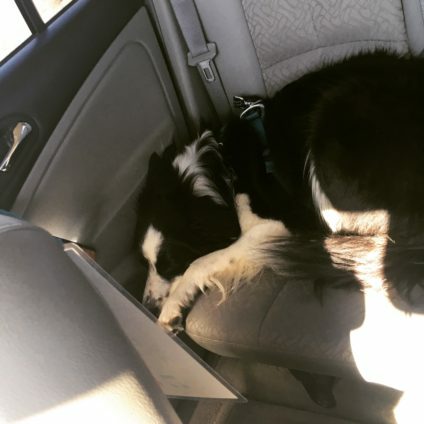 It can be hard for you to step back from your goal and see that your dog is struggling or that your family is less enthusiastic about your ideas. Because you likely shy away from training plans, you might move too quickly towards your goal, missing critical steps or actually messing up your training as you go. You probably enjoy working with solid, engaged dogs that like getting direction – shepherds come to mind. Highly sensitive dogs might not enjoy your goal focus. You probably enjoy competing in dog sports or at least checking off big training goals on your list. Relationship masters are very empathetic and caring. You might be a bit of a bleeding heart with shelter and rescue dogs, and you really love building a connection with your dog. 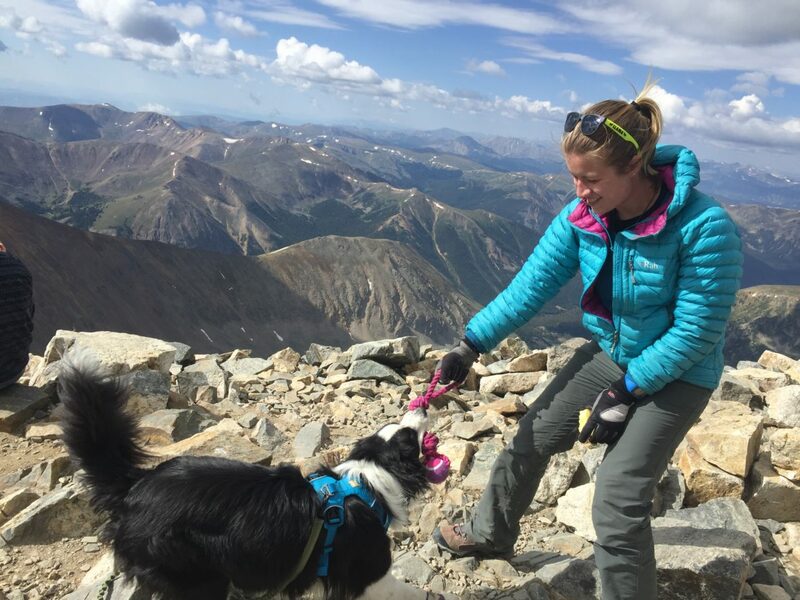 You talk a lot about teamwork and feel emotionally connected to your dog while training. Praise-based training, toys, and treats come naturally to you. Relationship masters really care about how their dog feels about training and lead by supporting their dogs. You might struggle to push your dog in training situations and advocating for your dog may not come naturally to you because you hate upsetting strangers. You might put so much focus on your relationship with your dog that you don’t really hit training goals. It can be hard to tell your dog no, whether that means just nudging her over so that there’s room on the bed, or ending a training session when your dog is having fun. Relationship masters will benefit from focusing on outlining specific expectations for their dogs. Try to be objective when looking at situations so that you can support your dog without undermining your training sessions. Spontaneous motivators are energetic and emotional. Spontaneous motivators can get fixated on climbing mountains and playing tug. Full disclosure, this is me to a tee – so welcome to the club! We’re great at motivating our dogs and probably just love playing tug. The emotional highs of dog training can be addictive, and we love cheering our dogs on. We’re also good at motivating less-than-willing dogs unless we go over the top and scare them with our enthusiasm. We can struggle with becoming emotionally attached to our ideas and goals. This makes training disappointments and setbacks extra-emotional. We like to challenge others, which makes us frustrating students for some human teachers. We might struggle to not push our dogs too hard too fast. Seeing objective reality doesn’t always come easily, but we like to challenge assumptions. This helps us look at our own training as well as the techniques of others. We’re not afraid of thinking critically – but we do struggle to extract our emotions from that! We do well with dogs that like an emotionally charged atmosphere but can overwhelm dogs that are highly emotionally sensitive. The excitable dogs of the world love us, but we can struggle to control ourselves enough to work well with them. We bring a sense of passion and sparkle to a training ring – until we get overly emotional. When that happens, we need to learn to take a step back, monitor our emotions, and try again when we’re ready. Even though we all fit into one quadrant better than the others, just think of this label as your “natural state.” Knowing what your tendencies are will help you identify your weaknesses and remember to try other methods when needed. Think of your leadership style like a dominant hand. It’s the first thing you’ll reach with, but you can use the other one if needed. With time and practice, you can learn to use your non-dominant hand more skillfully and in situations where that’s extra helpful. For example, I’m a Spontaneous motivator. It’s obvious enough that almost anyone who has watched me lead a group can peg me in about 2 minutes. But I’m learning that my emotional attachment to success is not always a good thing. See me learning more about analyst-architect style leading in blog posts such as Why We Punish Our Dogs, I’m Not Mad I’m Disappointed, and Be More Patient. I’m lucky that my training as a biologist/scientist first, dog trainer second helps me remember to look at data and break things down. Now, when I’m struggling with my own dog or a client’s dog, I’m getting better at stepping back. Am I being too goal-focused (I have a bit of driver in me, too)? Did I get too emotional about success and fail to see an obvious fix? Am I missing some body language cues that would help me fix this? Knowing my leadership style has opened my eyes to my weaknesses as a leader, a dog owner, a dog trainer, and an instructor. I’m constantly learning how and when to try to be more like an analyst-architect, driver, or relationship master. It helps, I promise. What is your NOLS leadership style? How has it affected your dog training? We want to know!